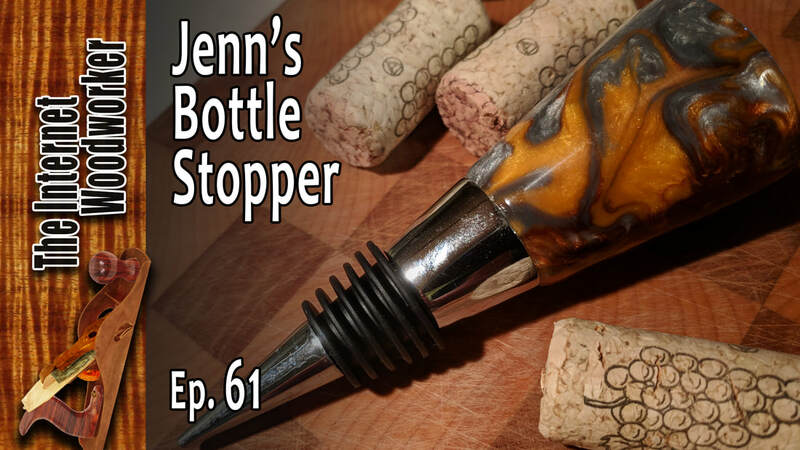 In this episode: Making My wife Jenn a bottle stopper on my lathe. 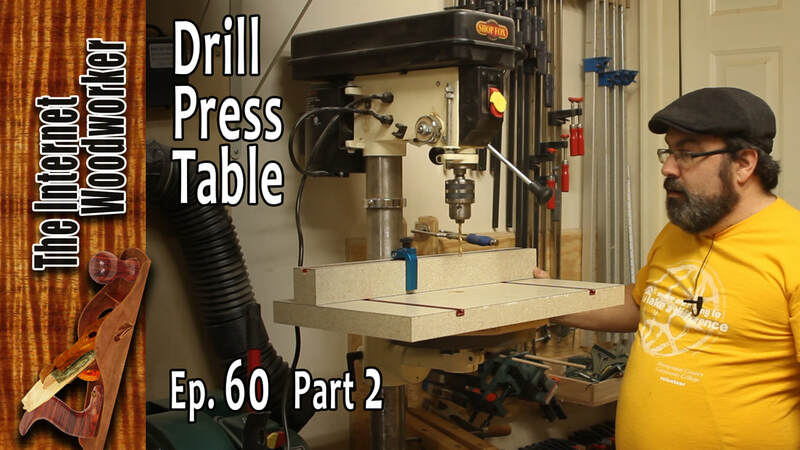 ​In this episode: Part 2 Finishing op the building a much needed drill press table for my bench top drill press. 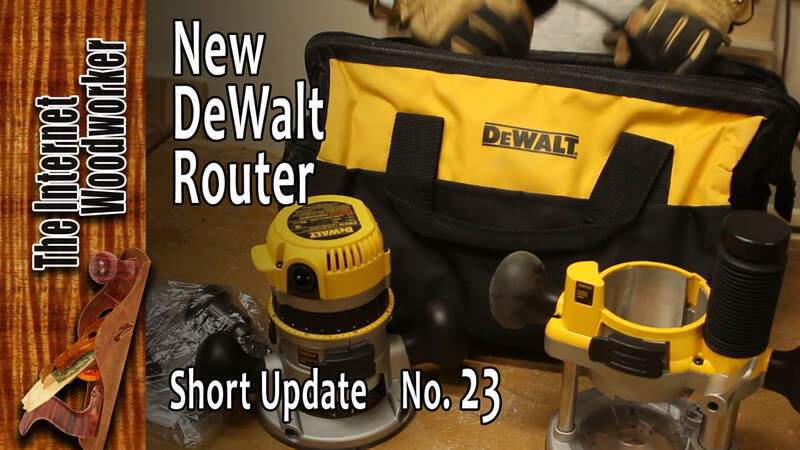 In this episode: Unboxing my new DeWalt DW618PKB router, and seeing what she can do. 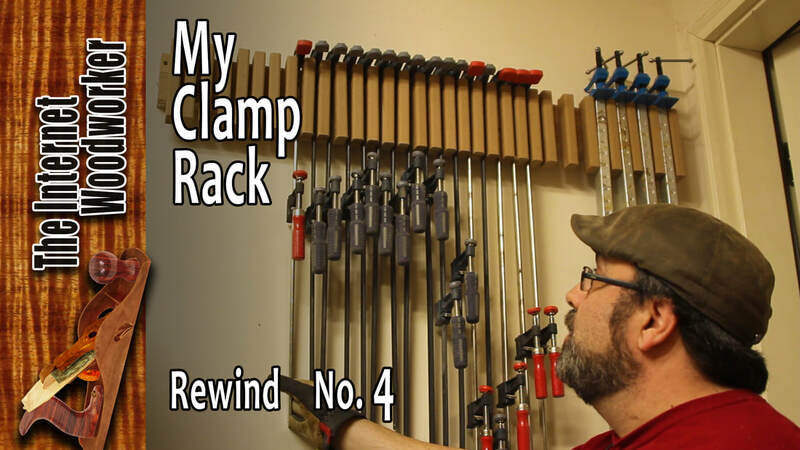 In this episode: Revisiting the Harbor Freight F-Clamp and the Bessy F-Clamps 6 years later. Also, my Clamp Rack is now 5 years old. How did it hold up? What worked and what didn't. I made a wall hung coat rack from a piece of scrap curly maple and cherry. Here are some tips that I have found useful. New Episodes on their way! Starting February 2nd. ​This is my first Woodworking Project. Go easy on me I was in nursery school. Making a salt and pepper grinder for my wife. My nephew Taylor comes to my shop to open some new tools, and too talk about his woodworking. 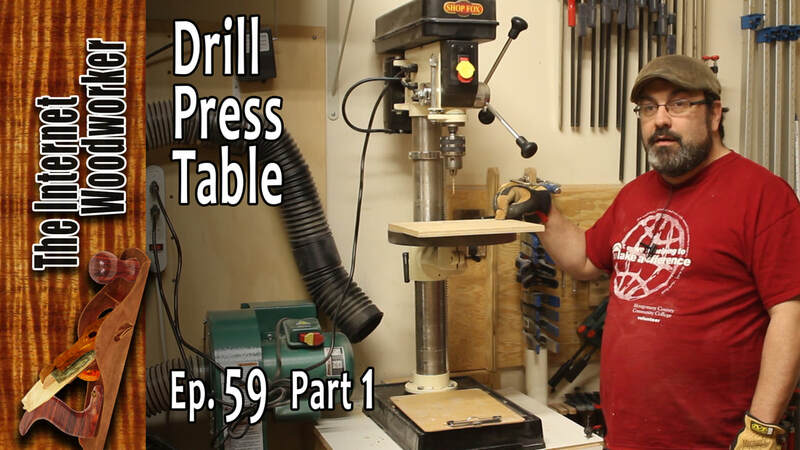 Part 1 on the re-doing of my router table door. Turning my warped plywood door into a functional storage solution. Part 2 on the re-doing of my router table door. Turning my warped plywood door into a functional storage solution. Part 1 of my lathe station. From planing to finishing. In this series I build a dedicated stand for my bentchtop lathe. 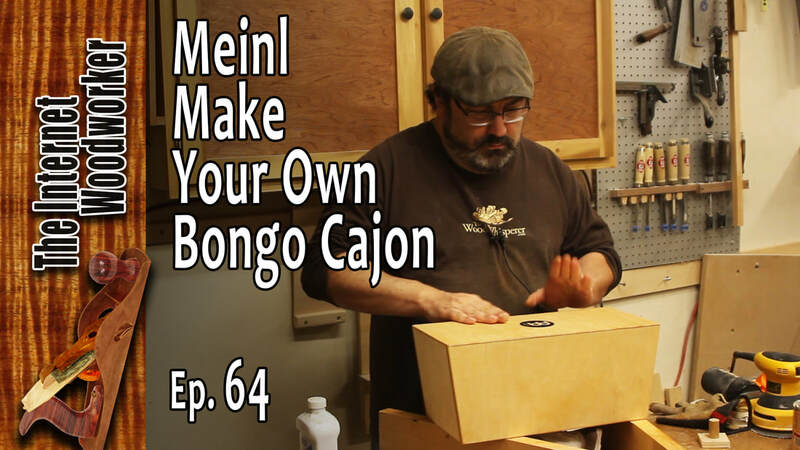 In this episode I plan out the project and start building the main box. Working on tool storage draw. Starting the top. Part 4 of 4 of my lathe station. From planing to finishing. In this series I build a dedicated stand for my bentchtop lathe. In this episode I plan out the project and start building the draws. Passing down woodworking knowledge. My dads woodworking book he made in print shop. A short update about the podcast schedule. and shooting season 2. Plan out and start making the bat template. Cut out the Template. Route out the inside of the bowl. 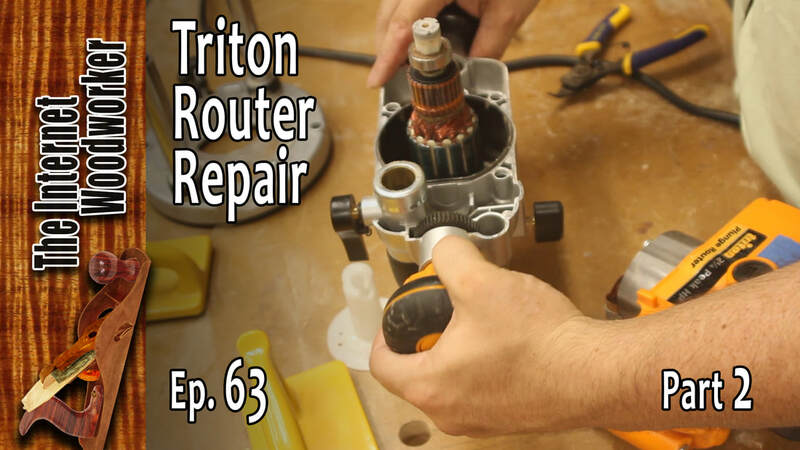 the conclusion of Matt's router Bowl. ​I found some tools at a local antique store. Spoke shave, rasp and float. Gluing up the box. Cutting the splines. Separating the lid. In this episode: Gift cards and cash new additions to the shop. Expanding my lumber storage. My old rack no longer meets the needs of my shop. I Need more space. Expanding my lumber storage Part two. My old rack no longer meets the needs of my shop. I Need more space. Keeping project templates. Just in case you need to do it again. ​Much to my surprise, I tune up my band saw really good for the first time. ​Combination Square Comparing my old Swanson to my new Starrett. Tuning up my old square. As well as other uses for an old square. Welcoming some stuff from Rockler. They will make fine additions to my shop. Using my new marking gauge and my new marking knife from Rockler. I paid $15 bucks a piece, and what I needed to to get them into shape. I stopped by Harbor Freight, And I came across these F Clamps. Work Pretty good for the price. Installing The Dust Separator into my shop. Revisiting My Marking Gauge. Making Improvements to an all ready great tool. Hooking up the dust collector to the table saw and router table. The final installment of hooking up my dust runs in my wood shop. hooking up the drill press and Band saw. 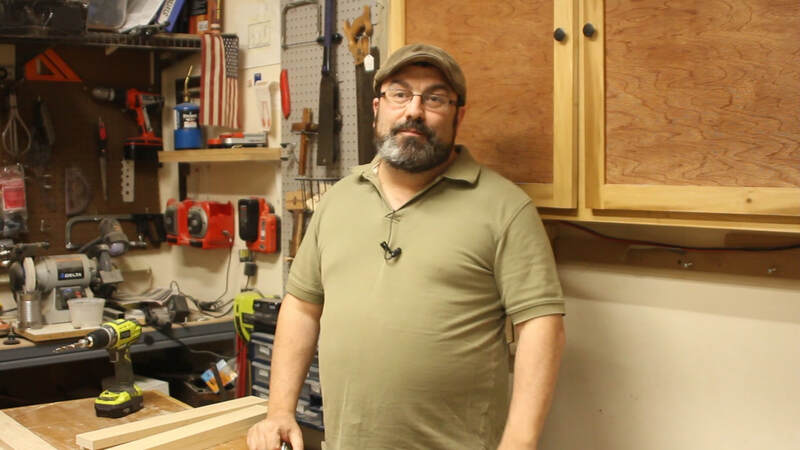 The woodworking community loses a friend. Neil Lamens of Furnitology Productions passes. New tools to the shop. 6" jointer and a bench top lathe. Making a wooden hand plane with my niece Reese. This summer she became fascinated with my hand planes. So we decided to make on together. We happily named it The Reese Plane! Part 1. Using my Lathe for the first time. Trying out the Rockler Carbide Mini Turning Tool. 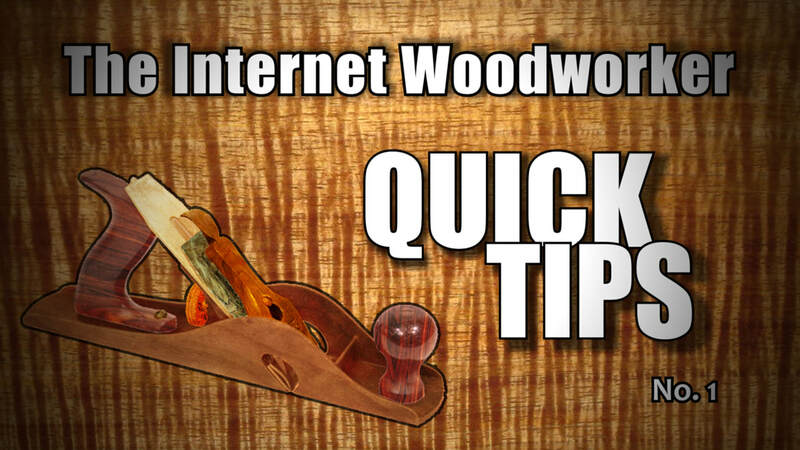 A Review of this tool reviled a highly crafted turning tool. Redoing my clamp rack to better accommodate my needs. 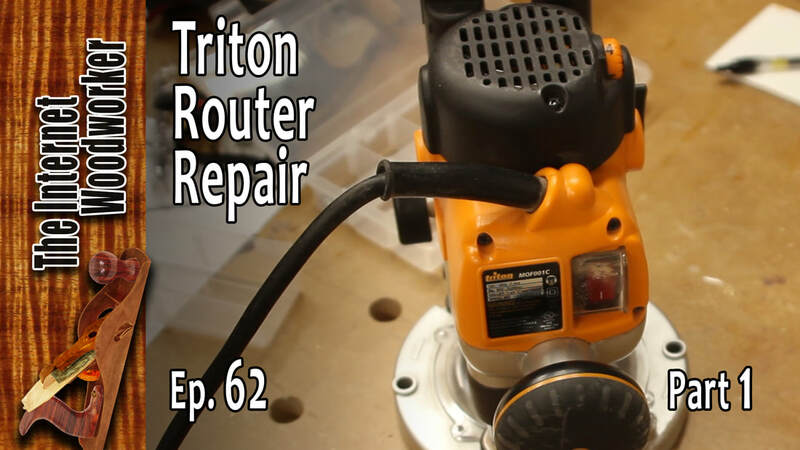 Upgrading my shop built router table with a new router and router plate. Welcome to my shop that's take a look around. What I bought with my Rockler gift card. How I need to get organized in my shop. ​My contest entry for the 2010 Sawdust Chronicles Build Challenge. I am building a small end table with some decorative features. My contest entry for the 2010 Sawdust Chronicles Build Challenge. I am building a small end table with some decorative features. 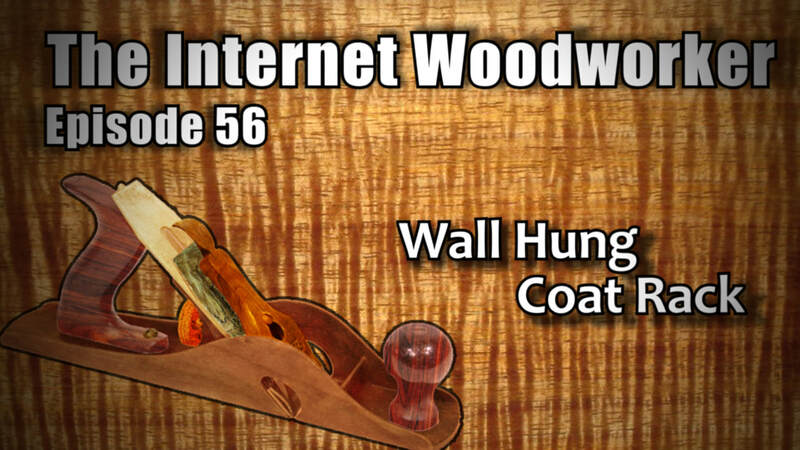 Part 6 of my project for the 2010 Sawdust Chronicles Build Challenge. ​Finding a way to flatten the top. Building a large sanding block. Planer Sled Construction and putting a blade on my band saw. Laying out the legs. Cutting for the inlay. Cutting the mortises. Welcoming the Stanley No.45 to my shop. Welcoming the Stanley No.5 and a Draw knife found at a local antique store. Finishing up. Routing the aprons. Carving the apron parts. Assembling the table, and finishing.